'Pulp Magazines' or 'Pulp Fiction' (often referred to as 'the Pulps') were inexpensive fiction magazines that were published from 1896 to the 1950s. The term 'pulp' derives from the cheap wood pulp paper on which the magazines were printed. In contrast, magazines printed on higher quality paper were called 'glossies' or 'slicks'. At the peak of their popularity in the 1920s and 1930s, the most successful pulps could sell up to a million copies per issue. In 1934, there were some 150 pulp titles. The 1957 liquidation of the American News Company, then the primary distributor of pulp magazines, has sometimes been seen as marking the end of the 'pulp' era; by that time many of the famous pulps of the previous generation, including Black Mask, The Shadow, Doc Savage, and Weird Tales, were defunct. Rolling Cumulus Software has brought the pulps back to FS and is proud to present RCS FS Pulp Magazine Vol. 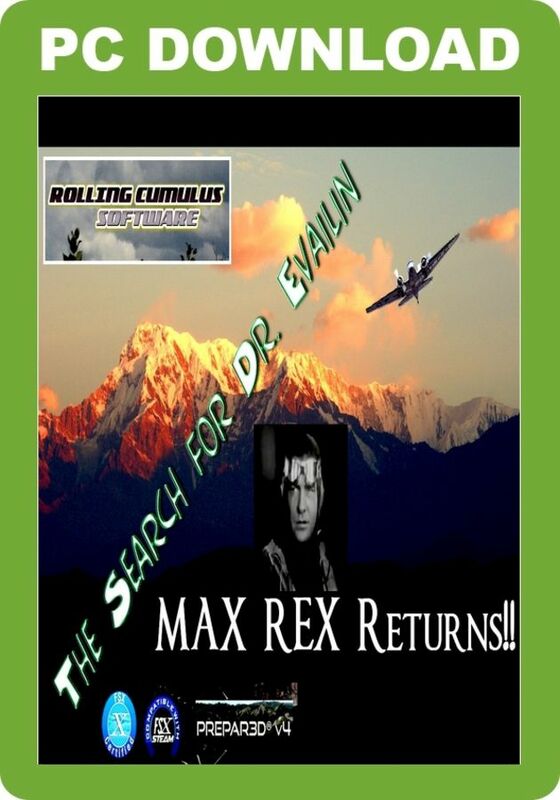 1 - The Adventures of Max Rex: The Search for Dr Evailin. Max Rex, famous aviator and gentleman, is returning to India for a visit to his parents, the owners of a large tea plantation. The winds of war are rising in Europe and the Pacific and Max knows he will soon have to return to active service in the RAF. Pamela Evailin knows of his arrival and has gone to his parent's home to see if her old high school friend will help her find her lost father in Nepal. Everything seems to be against Max having a relaxing holiday! 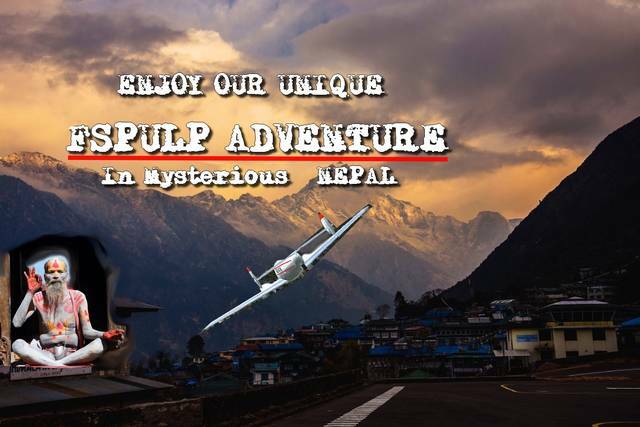 Pamela's beauty and her misfortune convince Max to ready his twin-engine plane ready for a lengthy, mysterious and very dangerous trip to the high Himalayas. He will need help, so is calling on you and Pamela for assistance - the three of you will soon be flying high into the unknown! Take a trip back to the golden era of pulp fiction with this FS adventure featuring Max Rex - aviator, gentleman and adventurer! 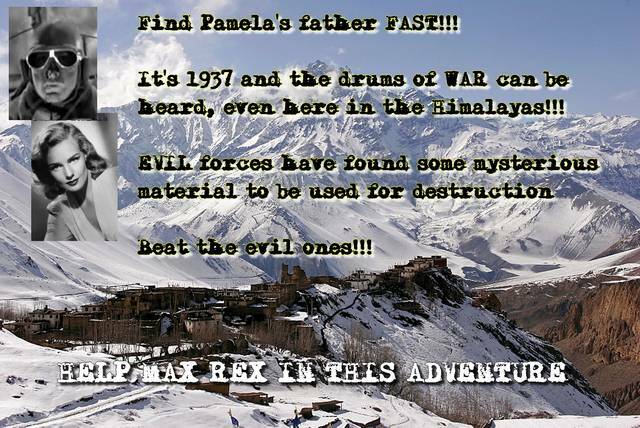 Join Max and his friend Pamela as they search the high Himalayas for Pamela's lost father. Gurus and princesses are on hand to guide your expedition, which is complete with dangerous approaches, multimedia instructions, detailed maps and complete documentation.